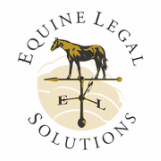 Equine Legal Solutions' boarding contract forms customers occasionally relay questions from their boarders about our forms. Frequently, the boarders want to negotiate the terms of the boarding contract. Here is our advice, based upon our experience representing boarding facilities. When you complete your boarding contract, decide what terms are negotiable, and what terms are set in stone. The list of what you'll negotiate should be very short, and limited to costs and customer services. For example, you might give a boarder with multiple horses a small discount, or you might agree to provide an extra feeding every day for an additional charge. What you don't want to change are the standard terms on which you do business. Some contract terms are essential to help you manage your business, such as payment dates and late fees. Other terms, such as those contained in your boarding contract's liability releases, are essential to limit your legal liability. If you lose a boarder because you won't negotiate your standard terms and conditions, it's not really a loss, because you can't afford to change your business model for a single customer. The type of boarder who wants to negotiate boarding contract terms is typically a negotiator by nature. If you allow your boarders to cross out boarding contract provisions they don't like, what will be next - your barn safety rules? Your feeding schedule? Your helmet policy? Not only that, if word gets out among your boarders that your boarding contract is negotiable, you'll find yourself having to negotiate a different contract for every boarder. Any boarder who goes over your boarding contract with a fine-toothed comb will generally be very hard to please. The fine-toothed comber is much more likely than the average boarder to turn into a "special needs" boarder who always wants more. Their attitude is generally that they're special and therefore the regular rules shouldn't apply to them. Here are the two most common items boarders want to negotiate in our boarding contracts, and our advice about why the boarding facility should hold firm. Liability releases. They're in our boarding contracts for a compelling reason - to protect you from liability. There are no "extra" words in our liability releases, so if you change the wording or cross anything out, you compromise that protection. "Negligence" is specifically mentioned in our liability releases because it's the most common allegation in a lawsuit. Note that while gross negligence can't generally be successfully disclaimed in a liability release, ordinary negligence generally can be. Liens on horses. In our boarding contracts, the boarder agrees to waive any rights they may have under state agister's lien laws and instead, agrees you can sell or give away the boarder's horses if they are seriously delinquent. Sounds dramatic, but it's never going to be a problem for boarders who pay their board. And, it's essential because provides the boarding facility with a much more cost-effective and efficient option than relying on the typically cumbersome and antiquated state agister's lien laws.